Joanna was born and raised in Denver, Colorado, where she attended the University of Colorado at Denver, and received a Bachelor of Science degree in Music Technology/Audio Engineering, earning a spot on the Dean's List. Joanna attended her first year of law school at the University of Denver Sturm College of Law, where she participated in a school mock trial competition--winning the award for "Best Defense Team" along with three other outstanding law school students. She was also the recipient of the Humiston-Varney Memorial Scholarship, a scholarship dedicated to helping single mother law students with their financial burdens, and a recipient of the Robert B. Yegge Memorial Scholarship. She was also a staff editor of DU's Sports and Entertainment Law Journal. 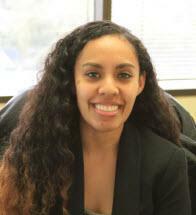 In 2015, Joanna transferred to the University of Houston Law Center. During her time at UHLC, Joanna participated in a moot court competition held by the American Bar Association, where she became a quarter-finalist. During law school, Joanna interned with Union Pacific Railroad Company as a law clerk, as well as the U.S. Attorney's Office for the Southern District of Texas, in the Violent Offenders Division, and as a judicial intern at the United States District Court for the Southern District of Texas under the Honorable Magistrate Judge Stacy. Joanna was the recipient of the American Women's Association scholarship in 2016, and one of the 2017 Blask Fellowship recipients. Joanna was a member of the Asian Law Students Association (ALSA/APLSA), Christian Legal Society, and the Sports and Entertainment Law Organization. In her spare time, Joanna enjoys creating urban, pop, and electronic music. She volunteers at her local church as an audio engineer for their weekly services, and volunteers for the Houston Food Bank, and Habitat for Humanity. Joanna also enjoys visits back to Denver, studying quantum mechanics, and watching space-based sci-fi shows (Trekkie).